Research addressed the importance of high abilities in mathematics at secondary school for the well preparation of engineering profession. However, factors influencing mathematics performance like Self-Confidence in Mathematics learning, values on mathematics, and Positive Attitudes toward Mathematics received less attention in research of engineering education. This paper utilized TIMSS 2007 data to conduct a global comparative analysis on these three factors at varied International Benchmark levels. The countries for this comparative study are the United States and the top three Asian countries, Chinese Taipei, Korea and Singapore. Results showed that compared with Chinese Taipei and Korea, Singapore students tend to have high level of Self-Confidence in Mathematics learning, values on mathematics, and Positive Attitudes toward Mathematics. The students of United States, though not ranked high in average mathematics achievement, tend to place good values on mathematics, have self-confidence in learning, and have positive attitudes toward mathematics. Recently, many countries have experienced a decline in the number of graduating engineers as well as a decline in the percentages of freshmen choosing to enter mathematics- and-science related majors (Dawes & Rasmussen, 2007; Seymour, 2002). Researchers have also found that undergraduate students arrived with less adequate mathematical ability to do engineering courses and a poor preparation for engineering studies (Reed, n. d.). Research also indicated that it is important to increase students’ perception of engineering as a career path and to have better understanding of the link between engineering and related subjects, especially mathematics, at a younger age (English, Dawes, Hudson, & Byers, 2009; Plant, Baylor, Doerr, & Rosenberg-Kima, 2009; Silver & Rushton, 2008). The secondary school has been identified as a crucial period to encourage students’ to participate, develop positive attitudes toward mathematics and gain interest in engineering as a profession (Brophy, Klein, Portsmore, & Rogers, 2008; Dawes & Rasmussen, 2007). Research also indicated that the high abilities in using mathematics allow students to understand scientific-technological situation, to develop analytical thinking, and to access engineering fields (Blanco, 2007). How to improve the overall adequacy of middle-school mathematics and engineering education has been a broad question. Both fields require students to have fluent reasoning skills, generalization skills, and the ability to solve complex real-life problems. Engineering and mathematics are interdisciplinary knowledge. For example, a well-designed engineering education can provide a rich and firm base for learning mathematics concepts (Custer, Daugherty, & Meyer, 2009). Mathematics in terms is helpful for solving a variety of relatively complex engineering situations. How to improve mathematics and engineering education becomes a great issue. Topics such as curriculum design, educational resource, pedagogy, teacher pre-service, professional development, and learning assessment have been widely discussed. For example, students can get benefits in achievement from the teachers participate frequently in content-oriented professional development activities (Zuzovsky, 2009). Educational researchers suggested that students’ good attitudes toward a subject lead to academic success (Royster, Harrish, & Schoeps, 1999). Students’ attitudes toward engineering would influence their decision to choose engineering as a profession (Kim, Keller, & Baylor, 2007). Previous studies (Mullis, Martin, Gonzalez, & Chrostowski, 2004) also indicated that students’ mathematics achievements were related to students’ activities and attitudes. Students with more positive attitudes toward mathematics, having higher levels of self-confidence in learning mathematics, and place greater values on this subject as an important factor to future success, have higher achievements on mathematics and science. These attitudes have great impact on mathematics learning in terms of an essential part of engineering education. 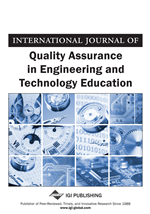 However, factors like self-confidence in mathematics learning, values on mathematics, and attitudes toward mathematics received less attention in the research of engineering education. This paper utilized Trends in International Mathematics and Science Study (TIMSS) 2007 data to conduct a global comparative analysis on how these factors influence mathematics performance at varied International Benchmark levels. Countries compared in this paper include Chinese Taipei, Korea, Singapore and United States. These three Asian countries continuously ranked high on international mathematics assessments, while the United States experienced a decline in the number of freshmen selecting engineering or engineering-related majors.